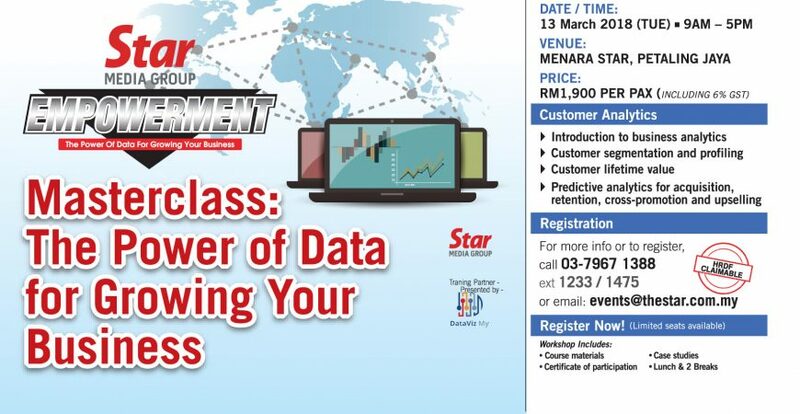 Star Media Group will be organising a 1-day Masterclass: The Power of Data for Growing Your Business in March 2018. In this Masterclass, find out how Big (and small) data can be applied to grow your customer base.Participants will be empowered with data-driven strategies for understanding your customers better. The Masterclass is HRDF claimable. Fee is inclusive of course materials, certificate, case studies and meals.